Back Hat SEO – Do not try this at home! 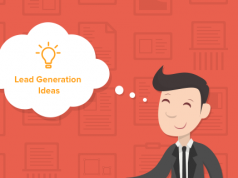 How to Generate More Leads? How to use Quora as a marketing asset for your business? Home Marketing Ideas Back Hat SEO – Do not try this at home! In the world of SEO, we have clear policies to follow. Rules are established to provide a useful, relevant and safe environment and to ensure the quality of user experience. Ranking high requires keeping up with the current and changing SEO trends and constantly adjusting your approach to suit any new algorithm updates. On the other side, there are the people (spammers) who try to outsmart search engines and bring organic traffic to their websites without following any rules, but breaking them instead. That’s the dark side of SEO. The vast majority of the time things are incredibly clear: people are paying money outright for links based on PageRank, flowing the PageRank, trying to get high the rankings. Ninety-nine percent of the time it’s abundantly clear that these are links that are being bought and paid and sold and all that sort of stuff. Buying links for SEO has some undeniable advantages for the buyer. First of all, it is easy. Once a transaction is done, there is no need to bother with the quality of the content. Secondly, the anchor text, a strong Google ranking factor, is also chosen according to customer’s preferences. These two reasons are enough to effectively manipulate search engine rankings which is why this SEO technique is classified as a serious black hat. Have you ever witnessed the situation where a newly submitted comment on your website turned out to be a… spammer’s with its worthless message and non-related promotional link? Exactly, these are the actions we’re referring to. Spam comments are intended to create free backlinks. Links gained in this way are 100% ‘nofollow’ and transfer no SEO juice, which makes this technique a real waste of time. Nonetheless, it is currently one of most popular black hat practices. What is more, it is not always done manually, there are even various tools available to automatically sprinkle spam comments across the Web. If your blog is open for commenting without anyone to control their quality, sooner or later you are going to get spam comments which will leave a negative impression on the users and lower the quality of their user experience. That’s why it’s better to prevent spam comments before they make your readers feel uncomfortable and discourage them from leaving any valuable comments. Remember, spam comments also harm your blog by making it look neglected and unprofessional. This is why you should wait and approve the comments after filtering out the spam using blocking plugins. As the name suggests, duplicate content refers to the well-known “copy and paste” content creation practice across domains and means that blocks of copied content from different sources exactly match each other or look very much alike. Search engines prefer unique content which is why content purposely duplicated across different domains is perceived as one of the worst black hat techniques. When the same results are found in the Google listing, it is a clear sign of manipulation of search engine rankings and it usually results in poor user experience. Duplicate content concerns not only different domains but also one domain. However, the second case isn’t as serious because it’s usually a sign of lack of knowledge or neglect. Therefore, it is crucial to implement a canonical tag to indicate the original version of your article. This way, you make other copies invisible for Googlebots. Article spinning is a technique similar to the duplicate content issue (above) and is continually getting more popular. This is next level plagiarism and it involves using special software which takes the copied source and rephrases it for later use as a “new”, “unique” post. Modification efficiently cuts down the risk of being detected by any plagiarism tool. What happens when you insert the term “cloaking” into the Google search bar? You will be given a Google Knowledge result which first explains “cloaking” as a search engine technique that presents completely different content or URL to the user than to the search engine spider. In fact, this SEO method is considered deceptive because it tricks search engines in order to get the desired ranks for target keywords. Moreover, it’s a violation of Google Webmaster Guidelines because, in most cases, it serves people with irrelevant results. Serving a page of HTML text to search engines while showing a page of images or Flash to users. Inserting text or keywords into a page only when the user-agent requesting the page is a search engine, not a human visitor. In other words, gateway pages, jump pages or bridge pages which are specially optimized for targeted keywords and designed to rank high for particular queries. These landing pages have very little value and are solely used to trick the search engines and transfer a visitor from a chosen result to another, unrelated destination. This well-known black hat SEO technique is no longer as applicable as it used to be in the past. Now, search engines are too smart to get dodged with this simple trick. By definition, keyword stuffing involves overusing the same keywords throughout one page in order to maximize its visibility and organic traffic. Content stuffed with keywords doesn’t look natural and because of this, it’s not user-friendly. Positionly’sWebsite Optimization Grader can detect keyword stuffing on your page and warn you about it’s consequences. Try it now! Discover 5 Ways to Create Findable Content Without Keyword Stuffing. To put this straight, invisible text means implementing white text, a list of keywords, on a white background. This method makes keywords completely invisible to a visitor, but search engines can still detect and index them. Black hat techniques are quite risky to practice because they are usually detected sooner or later. Consequently, a website can be banned or penalized. Being banned is rare because it means an ultimate removal of a particular website from the SERPs. Penalization is a much more common consequence to pay for negative SEO and involves lowering a website’s rank. Finally, I’ve got an interesting infographic presenting a comparison between white hat and black hat techniques for you! Do you know any other black hat SEO techniques that are gaining more popularity? Which technique frustrates you the most? Share your thoughts and ideas in the comments below. Expert reviews of marketing tools, proven online marketing ideas and case studies. Marketing tools and ideas magazine is built for marketing professionals who want to increase their productivity by using the best available tools and techniques.